Arrested and put in detention camp at the age of 13, Sangdrol-la now tells her story to raise awareness of those still imprisoned and tortured for protesting peacefully. Sangdrol-la (la is used after an elder's name as a title of respect) shared her story at Amnesty International's office in San Francisco during her first visit to the Bay Area last week on the eve of the National Tibetan Uprising Day [March 10]. She told the audience that she was only 13 in 1990 when she decided to join 20 other protesters in Lhasa, the capital of Tibet, in a demonstration aimed at expressing opposition to the oppression she felt under the Chinese government. She and the other protesters had joined together to express their desire for a free Tibet. She remembers the day vividly still, walking through the streets of Lhasa shouting "Free Tibet" and "Long live His Holiness the 14th Dalai Lama." The protesters knew they couldn't be in a group together and decided to spread out individually, shouting and singing their message. "We knew we would be caught. We had no desire to run or escape. Our plan was to shout until they (the Chinese police) caught us," she said. And they did, she said, recalling how Chinese army officials pinned her to the ground and then dragged her away from the crowd. "I remember people saying, 'She's so young, please let her go, she's bleeding,' " said Sangdrol-la. 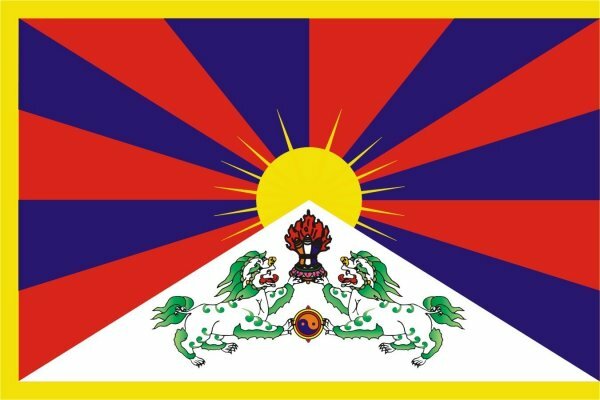 She had violated an official Chinese governmental policy banning all pictures of the Dalai Lama and the Tibetan flag. Sangdrol-la said she did not receive a fair trial and was sent to a detention center for nine months. Still, prison was better than the fate of her brother, she said. Chinese police shot him dead when he, too, was 13. When she was very little, she used to watch movies made in China, depicting the Chinese army as "kindhearted soldiers," fighting against the Japanese Army to protect the mother country. "I remember feeling like the Chinese are our own people because the TV made me think I was no different. I disliked the Japanese because in the movies they were the bad soldiers who killed the kindhearted Chinese soldiers," Sangdrol-la recalled. But "father yelled at me and told me the real story of my country, and what had happened to my brother." She said that she suffered terrible interrogations, was beaten and tortured in prison, kept hungry and in solitary confinement because she would not denounce the Dalai Lama. She told the audience about the terror of shock treatments she received. "One day the authorities brought a strange object that looked like a telephone. It was actually an electric prod," she said. The officer asked her if she wanted to call home and when she said her home didn't have a telephone, she said the officer said he would install one. "Then he put the object in my shirt and turned it on. My entire body shook in a way I couldn't control. That was my first electric shock, but not the last." She was arrested again in 1992 during a similar protest and sentenced to three years in prison, but her sentence was increased to 13 years because she would not renounce her beliefs. The prison did not allow family members to visit very often but through surreptitious means, Sangdrol-la and another inmate were able to get their hands on the cassettes and began recording songs to smuggle outside of the prison. "We recorded freedom songs to tell our loved once that we were OK and even though the conditions were horrible in prison, we still had hope and we were not going to give up," said Sangdrol-la. "We never thought it would actually reach the outside world like this." In 2002, she was released to the U.S. government. She was in critical health and, upon arrival in America, was taken to a hospital in Chicago. Yangchen Lhamo, a member of the Students for a Free Tibet, part of the S.F. Team Tibet coalition, which co-organized the event, said she has heard this story before but "it never gets any less disturbing." "I now live in freedom. But, every day, I worry about those thousands of Tibetans who are still suffering today, right at this minute, for doing nothing more than a peaceful protest," said Sangdrol-la.